Welcome back, I’m glad you’re here. Today I’d like to get real with you for just a minute. I haven’t talked much about this, but I’m a self-taught crocheter. My Granny, bless her heart, was the crochet Obi-Wan of my family. Sadly, I never got to meet her but I do have one of her granny square afghans! I’ve heard many stories about how she would sit and crochet all day long and was hardly ever seen without a skein of yarn. Oh, what I would give just to watch her crochet. How did she hold her hook? How did she hold her yarn? I may never know because those in my family who remember her don’t know diddly squat about crochet and have no idea what I’m talking about when I say knife-grip! A few years ago I picked up a hook and a skein of yarn at the local craft store because I wanted to see what this business was all about. If you told me then that in a few short years I would have a crochet blog & youtube channel, design patterns, and teach people to crochet I would say you’re off your rocker. Yet it’s true, here I am! There are many things I’ve learned along the way, though, that I wish I could tell myself when I was just starting out, and just beginning to navigate these at-first confusing waters. 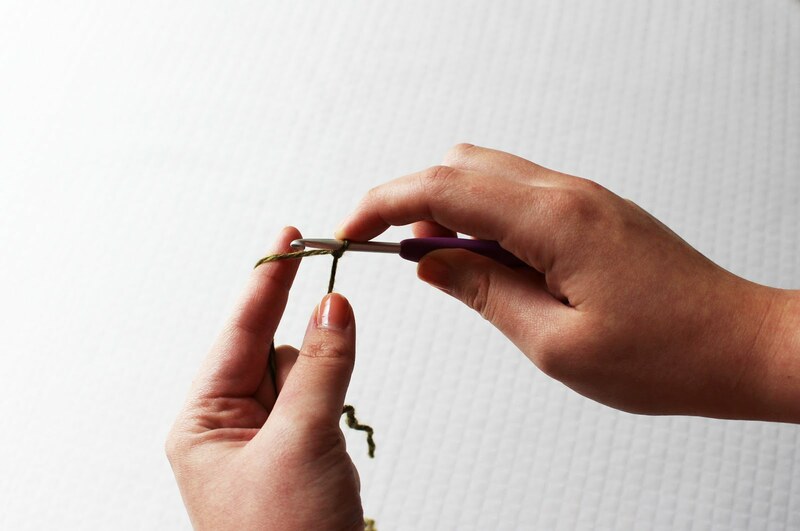 So if you’re brand new and considering learning to crochet – don’t worry! I’ll give ya a few pointers here and hopefully help you find some confidence by some of what I learned on my own. If you’re a seasoned crocheter, I bet you can relate to a lot of these! Especially if you are self taught by YouTube videos like me. I wish someone had told me that I would be doing this for a living in a few short years – I would have been much more diligent about learning and probably taken a class or two! Instead, I am totally self taught and it took a lot more trial and error on my own to figure things out. I’m always learning though, which is a wonderful feeling. I started this blog in January of 2016 just to chronicle my makes while on maternity leave – I had no idea I’d be making this kind of money 9 months later! If you’ve been curious about making a full time income with your crochet (and getting out of those craft fairs that never make you more than a few hundred bucks at a time) – see my easy 3 step guide to starting a DIY blog HERE! 2. 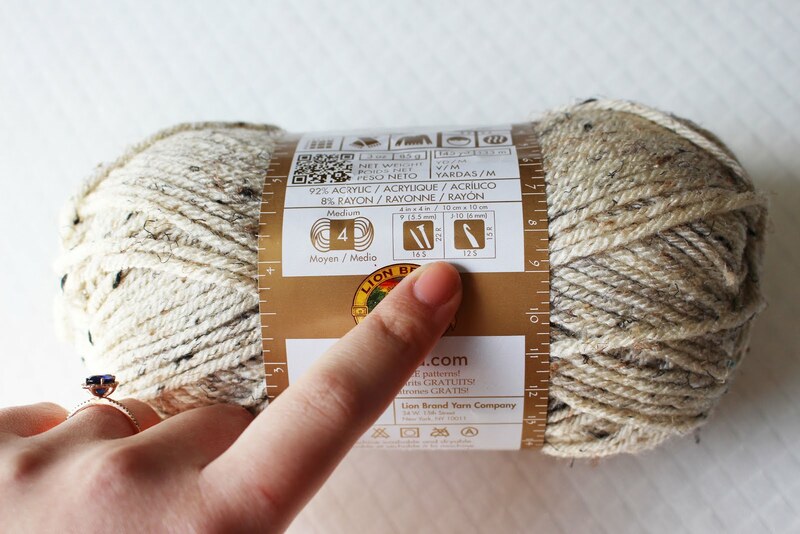 Yarn labels tell you a lot! That yarn was actually a super chunky yarn that was really meant for something like a blanket. I tried to make a beanie with it and this was my first turn down a rough road. It also took me way longer than it should have to realize that on the yarn label the manufacturer recommends what hook size to use with that particular yarn-duh! With that first yarn purchase I picked up a crochet hook that looked promising, a bamboo handle, hot pink Susan Bates number. I think it was a size H 5mm. Not at all what I should have used with the yarn I chose but again, I thought “Hey! Pretty!” …and I was overwhelmed by all the options. If only I’d known to look on the label for that little box with a picture of a hook! 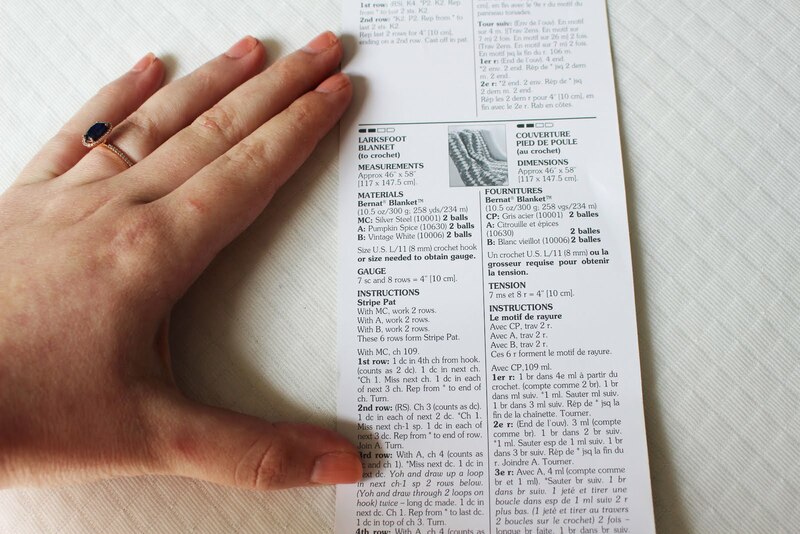 Most yarns now also come with a free pattern on the inside of the label! 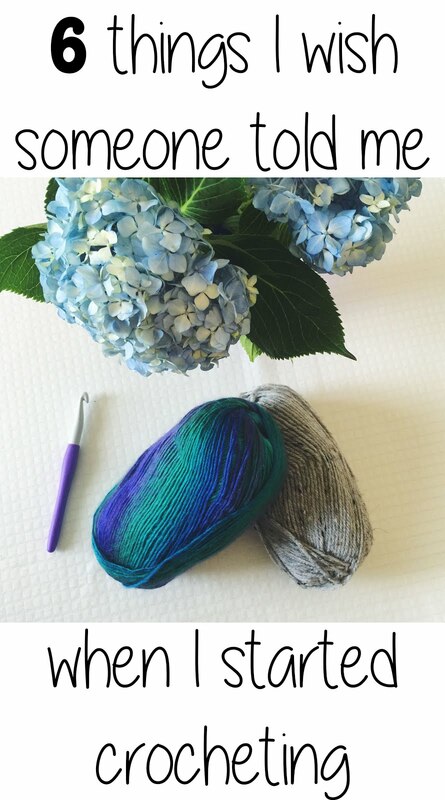 (We’re talking about big box store yarns here, not the hand dyed merino wool on Etsy, though those are lovely). 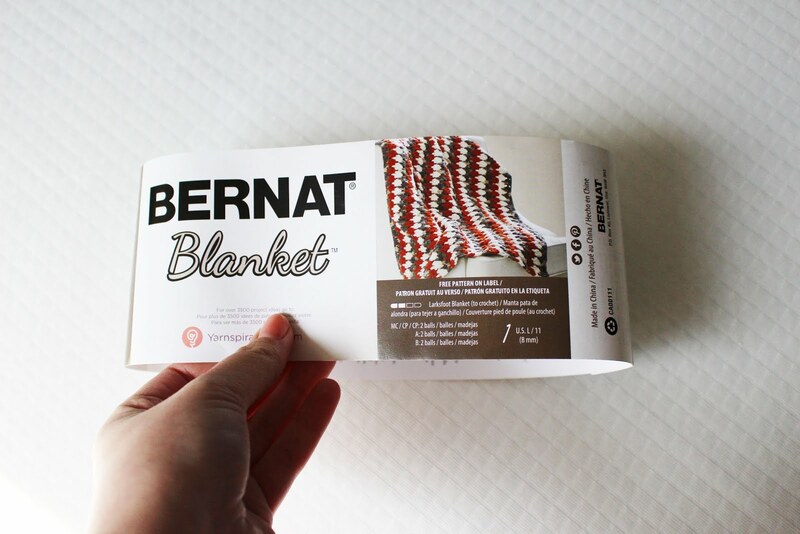 When you buy a skein of Bernat Blanket Yarn for example, there is usually a photo on the outside of the label with someone wearing or snuggling something soft and cozy – a blanket, a scarf, an interesting and awkward looking hat, or anything else! 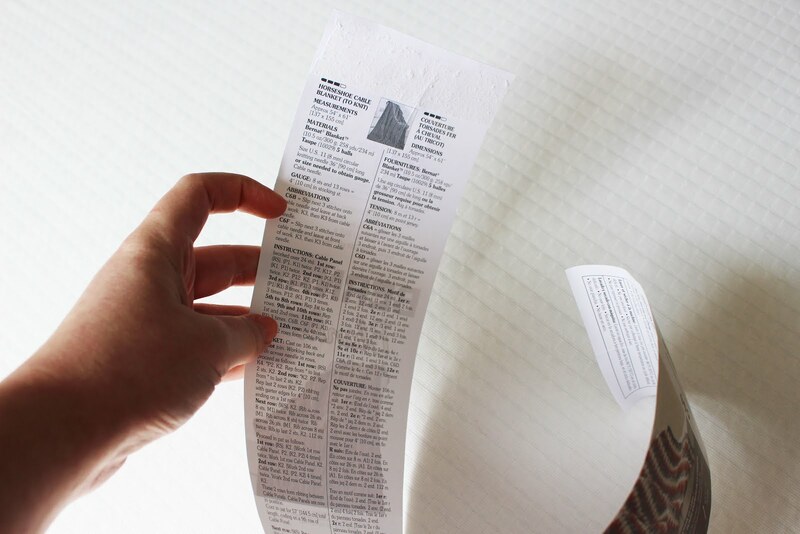 More often than not you can find the pattern to that very item on the inside of the label, and this is a great place to start! Unfortunately my favorite yarn to keep in my stash, Vanna’s Choice does not come with a free pattern. A good perk to the label on this yarn however is the ruler in cm. and in. that runs along the inside and outside of the label! The label also directs you to the Lion Brand website where they claim to have over “6000 free patterns” so that doesn’t hurt either. 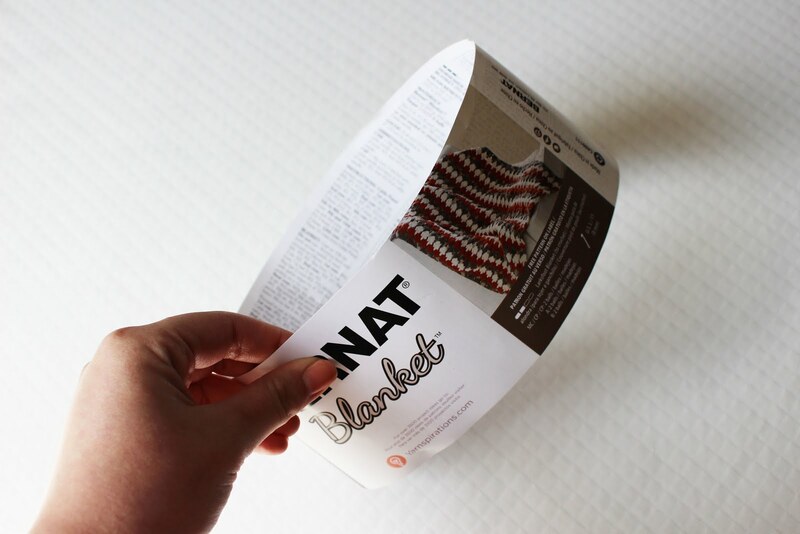 The label will also give you useful info on how to care for items made with this yarn – most box store yarns now are machine washable and dryable, but it doesn’t hurt to check the label! 3. Hold your tools however is comfortable for you – not how your friends do it! 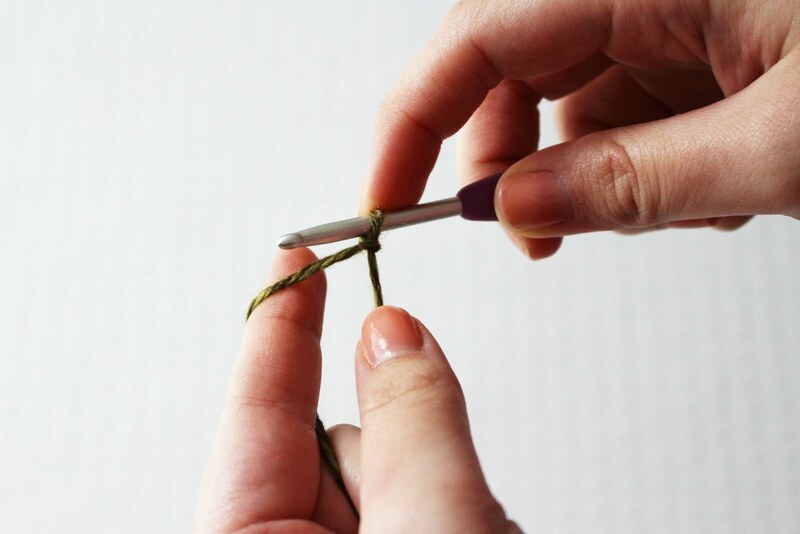 I’ve had many people tell me that I “hold the yarn wrong” or “hold the hook wrong.” First of all, that’s simply not true because there is no right or wrong way to crochet – whatever gets the job done is the right way! When I first heard these comments, though, I felt discouraged. I was no longer proud of the accomplishments I’d made or the projects I’d completed. I felt as if I needed to restart, go back to the beginning and do it all over. Despite these feelings, I kept plugging along, doubting my abilities as a crocheter for some time. I continued the only way I knew how, holding my yarn and hook differently than most of the world. And you know what happened? I got my confidence back with each handmade project completed! I still hold my yarn differently than most but that’s okay. Once I understood how to buy yarn and what I liked/was looking for, I collected quickly. I had a stash of brightly colored yarns in no time and more yardage than I could work through in months. I had yarns of all different textures and weights, I had every hook size imaginable and I loved looking at my baskets of candy-colored yarn. Then a friend came over for the day. Mind you, I’m 20 at the time and have stacks of yarn everywhere. This hobby was new and I had only mentioned it to my friend once or twice, so she didn’t expect the entire yarn aisle in my living room. However, there it was and I was glowing with pride. She laughed a bit and tried to understand. She poked and prodded my stash, unable to grasp why I would spend all of my free money at the craft store instead of saving for Spring Break. I didn’t expect this response! Yet it happened over and over again, and I’ve earned the affectionate nickname “Grandma” among friends and family. I’ve embraced the idea that my hobbies are uncommon for a young adult, but that took some getting used to. The response from my peers when I talk about turning in early to work on a quilt, or skipping a night out because I haven’t had time to crochet in a few weeks baffles those around me and this made me doubt my hobby at first. Though, quickly I decided that I loved this art and that’s all there was to it. My yarn and I have been happy ever since! I just figured out this one recently. Not only are there some amazing hand-dyed, beautiful yarns for sale all over the internet (definitely start on Etsy and support local business! – like my hand dyed biz HERE) but even the big yarn companies (Lion Brand, Bernat, and Red Heart) make kinds of yarn or colorways that I’ve never seen before in person – but are only sold online. For the longest time, I thought whatever was at my local retailer was all that those brands made. This is not so – not even close! Just after a quick search on Amazon (shop my favorite things HERE! ), I found so many new and interesting yarns by brands I’d had success with. I still haven’t even scratched the surface of trying all that I’d like to, but oh how I wish I’d skipped some of the box stores and ordered online from the beginning! The variety! The colors! The excitement! 6. Get a good tote bag and take your crochet everywhere! This one took me way too long to figure out too. It’s one of those things that I really should have figured out sooner. It took me months to realize that the reason it took me a month to finish a scarf was not because I didn’t have the time, but because I was only working on it when I had free time at home. These are just the times I utilize on a regular basis! The options are really endless here – never leave the house without a WIP! I hope these tips and life experience help somebody out there – you may not have your Granny to guide you (like I surely didn’t) but that doesn’t mean you have to be lost in the dark. Don’t forget to PIN these tips to your Pinterest boards! Share what you’ve learned the hard way below by leaving a comment! « Easy Crochet Coasters: Great for Beginners! In looking at your pictures of how you hold your yarn and hook I find it is exactly the way I have been holding mine for the last 44 years. I never knew there was a wrong and right way. My mother taught me like this when I was about 14, how to make the basic stitches. She never used a pattern and I never made much more than looong chains, and a scarf. When I was 21 , and pregnant, I picked up a pattern and taught myself how to make actual things. Keep up your good work! Love your post here. I’m self-taught too, and have been insecure about it at times. Hugs to you. Way to go on turning a hobby into something sustainable & even profitable! That ain’t easy, lady! Great job! I am a self taught crocheter myself i learned because the hours my ex husband worked i needed something to do that wasnt that expensive. My first project was a blanket for my grandma which now is in my memory chest. I love making hats and hot pads and i am currently working on a very pretty blanket third one i have done now. But i only used to use red heart yarn now i have fallen in love with i lobe this yarn from hobby lobby it is so soft and cozy. I started out just like you a few years ago and now, crochet plays such an important part of my life. I’ve recently started making throws in Tunisian crochet which I love. Like you, crochet was a mystery to me for years, now I can’t be more than a couple of yards from a ball of wool and a crochet hook. You hit my life on the button…love the blog and will try and keep up with your blogs. Have a happy Thanksgiving! I have several questions & can probably think of even more. however, the one I REALLY want answered right now has to do with a yarn I found at a thrift store. Most if the label was torn off the skein & they had taped up what was was there. The yarn is soft with a worsted weight of 3 or 4, but feels thick. I think it would be great for an Afghan. The only thing I remember on the label, that I mistakenly threw away, was that is had a feel of being made in the 1800s & I do believe that was also part of the brand name. With all that being said, is there any light you could shed on where I can get some more of it & the brand name of it. I have been on the look out for it everywhere, online & in craft stores with absolutely no luck. Please let me know if you or anyone reading this can help. I would greatly appreciate it!! Thanks so much & happy holidays 2016!! My grandmother taught me the basic single & double crochet stitches when I was 10 & a friend taught me the same corner-to-corner pattern you have pictured when I was 18. From there I have started down the road of trying to learn stitch patterns so I can broaden my crochet horizon but I keep getting distracted. After 13 grandchildren I’ve gotten that corner-to-corner blanket pattern perfected. Thanks for the pointers & ideas. Love your blog, went through some of the same things you did. I still hold my needle and yarn differently than most people. Hey Ashleigh, your tips popped up on pinterest and made me laugh. I’ve knitted since age 8 when my gran taught me and latterly i make socks. I’ve become popular, friends and family love them, i cant knit them fast enough, but i wanted a change. I was hooked by all the wonderful yarn pins on pinterest so i began crocheting with help from youtube. I hold my yarn and hook in my right hand (hey i’m a knitter first and foremost,)i’m starting a temperature blanket in jan 17 so i’m in the planning stages. My friend at work saw this and now i’m showing her how to crochet everyday, learning together before the children come into school, we are TA’s and we make hillarious mistakes but we love it! 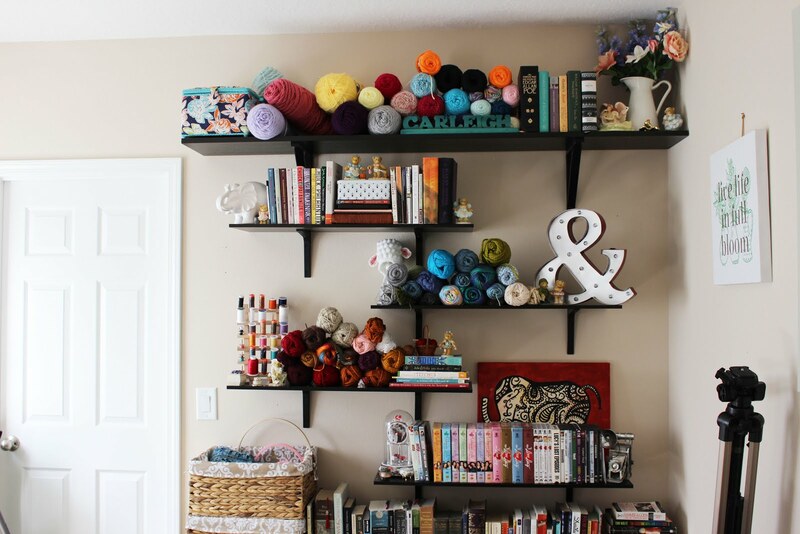 My yarn stash is constantly growing (sometimes i have to smuggle it in) “what! Not more! Hubby exclaims. However despite this he is still building me a storage area for it all who knew! This has to be one of the best blog write ups I’ve seen. I too am self taught and younger than what most people consider to be an acceptible crochet-age. Many people have said how I looked like a grandma, sitting there contentedly whippING the yearn between my fingers. Still, I’m so glad to see others embracing this art! The values of it arent as recognized as they should be. Pretty colors and soft textures are the beginning. The piece becomes a reflection of yourself. You energize it through Reiki. Lastly is the stress relief it gives you. Bravo Ash, may you enjoy many more years crocheting!